In 2002, Nintendo released the WaveBird controller for the GameCube. It was the first truly great wireless controller: functionally identical to the standard pad (sans vibration), with super-fast performance and long battery life. Now you can relive the joy of that on the Switch. Every major home console since, from Nintendo and its competitors, has included wireless controller functionality built-in. It’s now the standard: wired pads are relegated to bargain bins and a few models made for die-hard purists afraid of a millisecond or two of wireless latency. So it’s strange that, with Super Smash Bros. 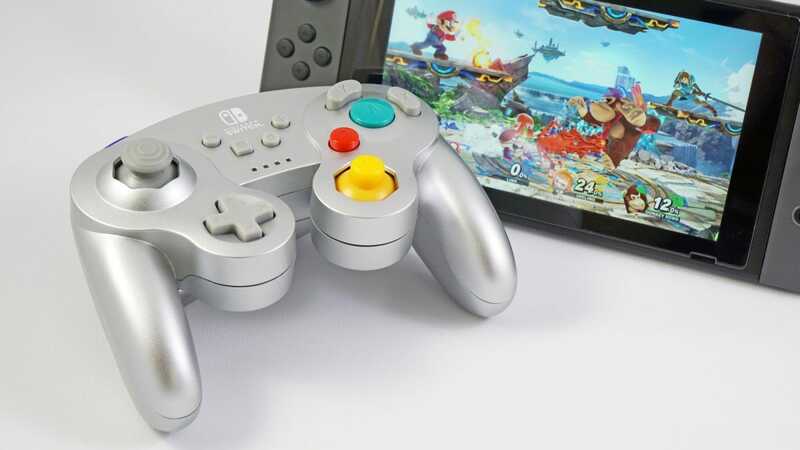 Ultimate for the Switch coming out in a few days and Smash fans desperate to use the familiar, comfy GameCube controller layout, Nintendo hasn’t made any WaveBird controllers in over fifteen years. You can play Smash with a wired GameCube controller—in fact, you’ve been able to more or less continuously for all of that time—but if you want that experience without wires, you have to track down an ancient, original WaveBird. And it’s not going to do you any good if you want to play other Switch games on it. PowerA, makers of the MOGA mobile controllers and various other gaming accessories, is here to fill that gap. 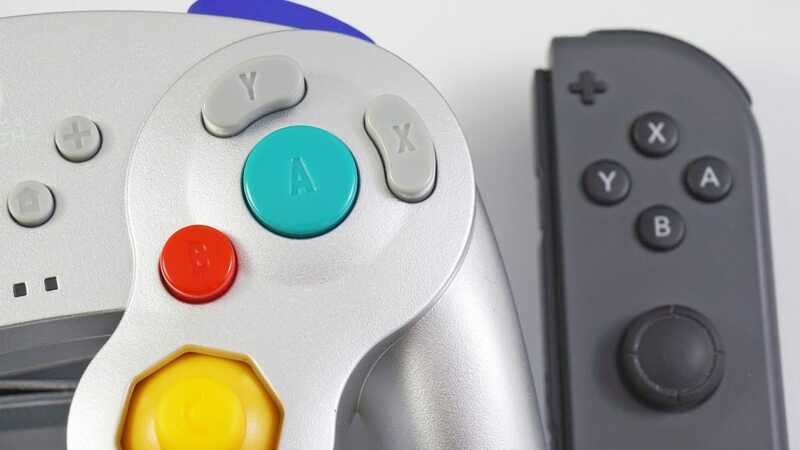 The company’s new Wireless GameCube Controller features the classic layout that Smash players crave, with the Bluetooth connection and extra face buttons the Switch needs. It also has a second “Z” button (called L1 on more conventional layouts) and a “clickable” thumbstick and C-stick, covering all of the same control inputs as the Switch’s Joy-Con and Pro controllers. It’s the WaveBird come back to life, and it’ll work with all of your other Switch games, too. In eager anticipation of Smash Bros. Ultimate, I picked up the PowerA controller at GameStop. You might need to do something similar: it’s sold out online, and scalpers are offering it at ridiculous markups over the $50 retail price. (Seriously. On Amazon it’s currently on a 1-2 month backorder.) See, Nintendo? There’s a market for this thing! The PowerA controller apes the GameCube layout almost exactly. This isn’t the typical third-party imitation, the perennial “little brother’s controller” bought because it was half the price of the Nintendo option. You could tell me that this was an official Nintendo product, and I’d be prepared to believe it. The GameCube’s distinctive A-focused primary cluster, knobbly and stiff C-stick, and cushy L and R buttons are all present and accounted for. 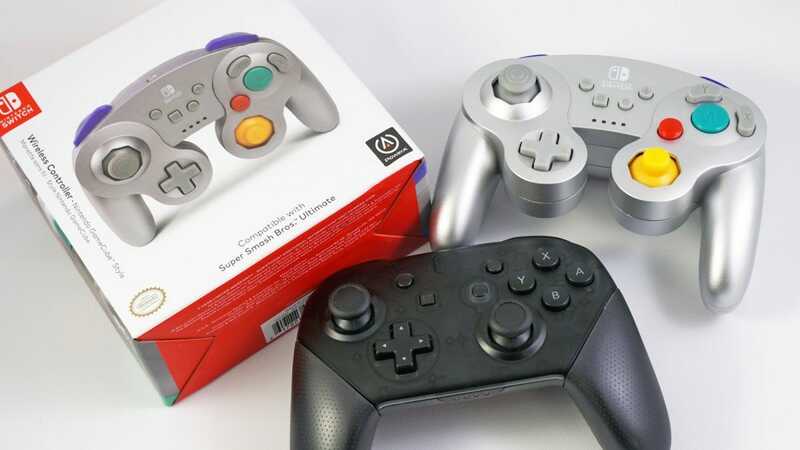 The shape and feel of the controller match the original GameCube pad exactly: even the colors (black, purple, WaveBird grey, and gold and silver GameStop exclusives) hearken to the original console’s designs. The only obvious difference is that, in place of a single Start button, this revived version includes the Switch’s +, -, Home, and “Capture” buttons, the better to navigate the console’s main menu. There are a few creature comforts as well. The D-pad has been oversized by a few millimeters, solving one of the few problems with the GameCube’s layout (back then Nintendo had re-used the plastic molds from the Game Boy D-pad), and the “Z” button on the right side has been mirrored on the left, giving the PowerA controller the now-standard four shoulder buttons in total. 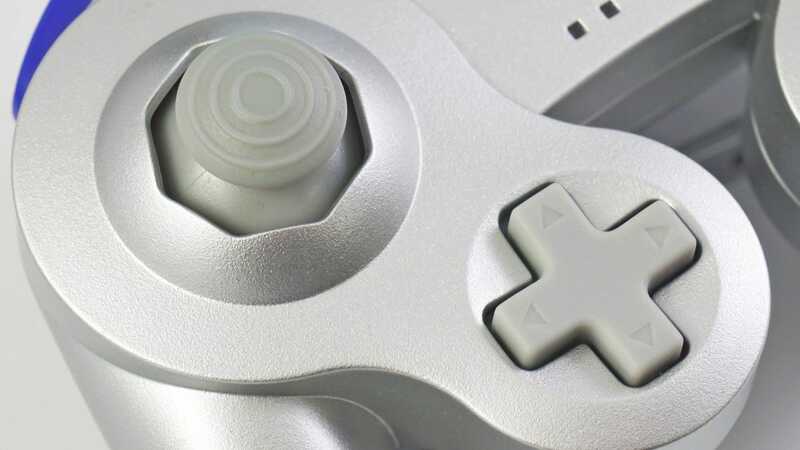 Unlike the original GameCube pad, the thumbstick and C-stick can be pressed inward, just like all modern controller thumbsticks. These changes cover all of the standard controls of today’s console games. A final pairing button on the top lets you connect to Bluetooth. 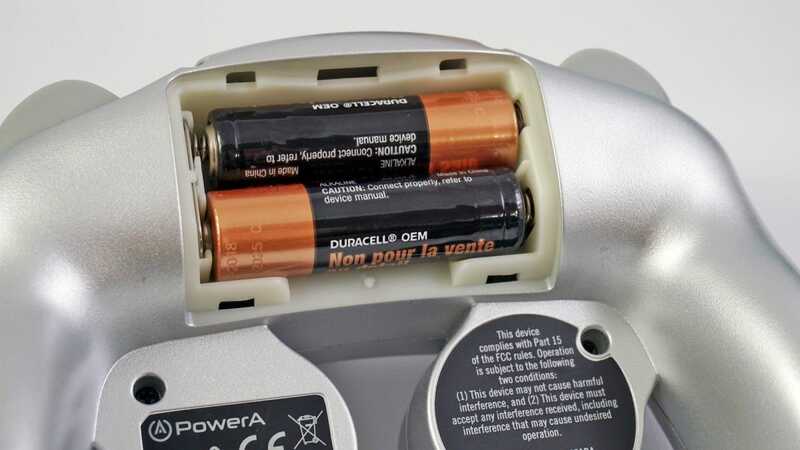 There are a few things the PowerA controller omits. Unlike all of the Nintendo Switch wireless controllers, the batteries aren’t rechargeable, so you’re stuck with swapping AAs like the old WaveBird. The wireless GameCube pad has a motion sensor inside for the few games that take advantage of it, but unlike the Joy-Cons and Pro Controller, there’s no NFC chip for reading Amiibo and other toy data. That’s an acceptable omission: it’s a rare bit of interaction that will already be covered by the Joy-Con controllers that came with your initial Switch purchase. A more upsetting cost-cutting measure is rumble, or lack thereof. PowerA’s controller has no vibration motor at all, cutting off a subtle but important bit of player interaction. True, the original WaveBird didn’t have rumble either… but that was in 2002. When every phone on the planet has at least a weak vibration motor, not to mention the teeny-tiny individual Joy-Con controllers, suddenly losing that feedback feels pretty jarring. It’s easily the biggest drawback on an otherwise impressive design. Actually using the PowerA GameCube controller was very enjoyable. The only differences I could feel between the new controller and the older design is a little extra “spring” in the thumbstick and the shoulder buttons…which might just be because the springs are new and my 17-year-old memory isn’t. It’s a lovingly-crafted replica, extra buttons and larger D-pad notwithstanding. Playing with the PowerA controller felt identical to playing my old GameCube games with the WaveBird. Which is pretty much what I was going for. Mario Kart 8 was an especially fun experience: it has that fairly simple control layout that works amazingly well with the original GameCube pad design. A minute or two was all I needed to adjust from the layout on the Pro Controller, my go-to Switch option. For something a little more challenging, I switched to Dead Cells. If you’re unfamiliar with the game, it’s essentially a 2D Dark Souls, and its punishing difficulty requires precision timing and use of all face and shoulder buttons. This was a little more tricky. The long throw of the GameCube’s shoulder buttons meant I was a little slower with secondary skills, and the altered, A-focused face button layout resulted in a few premature deaths. But Dead Cells is accommodating to its players and allows full control customization: after a bit of tweaking, I found a modified layout that was comfortable. Within 20 minutes I was back to slaying undead monsters with ruthless efficiency. Lastly, I tried out The Legend of Zelda: Breath of the Wild. This was the big test, as it’s a full 3D game with all the complex control issues of modern sandboxes. And that being the case, it’s also where the GameCube controller layout starts to show its age. Allow me to explain. 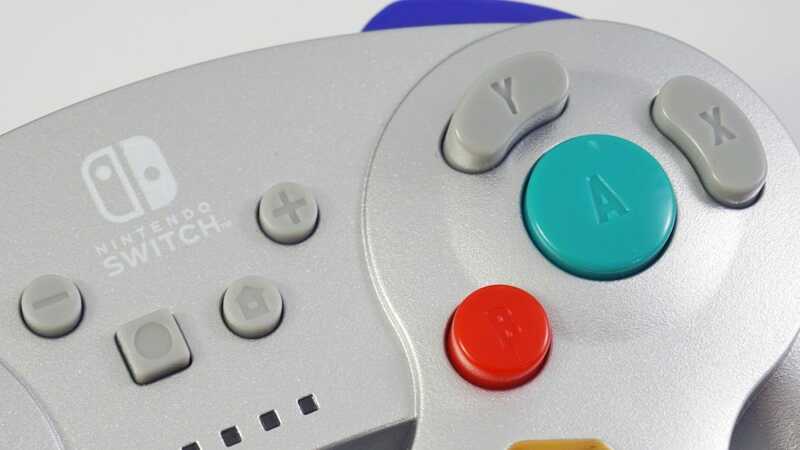 You see, the original design of the controller is brilliant, with an oversized primary face button for the most common actions, surrounded by easily-distinguishable secondary buttons. But it works best when the games are designed with this control layout in mind. That oversized A button needs to be Mario’s jump, or the basic attack/pickup in Smash Bros. The secondary B button is easily located, too—that’s why it’s Link’s sword slash in the GameCube Wind Waker. But on the Switch with Breath of the Wild, Link’s sword slash is moved to the Y button—roughly the same physical spot as the GameCube’s B button, but a different bind. This means that translating the new Zelda control scheme to the old layout, the basic attack is on the top of the control cluster instead of slightly to the side. So the button you’re using most often is one of the hardest to reach with your thumb. And because Breath of the Wild is more about moving around the open world than using inventory puzzles, the primary “interaction” button, A, is almost never used in the heat of battle. 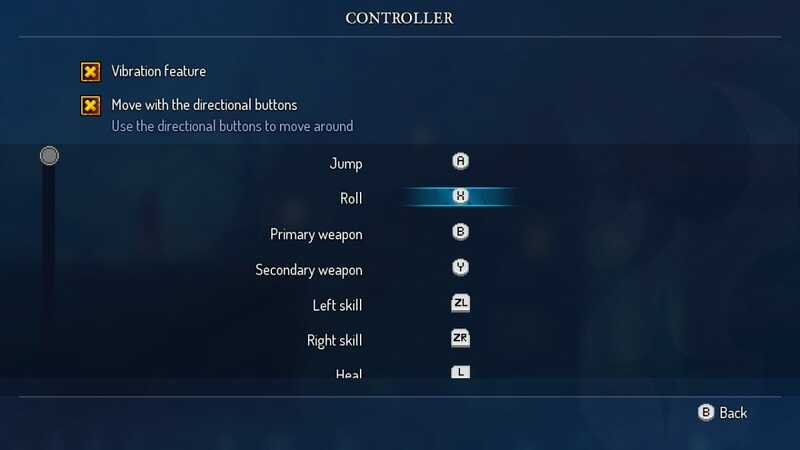 So that “most important” button, more or less the guiding principle from the design of the controller, is just shy of useless for this modern game. 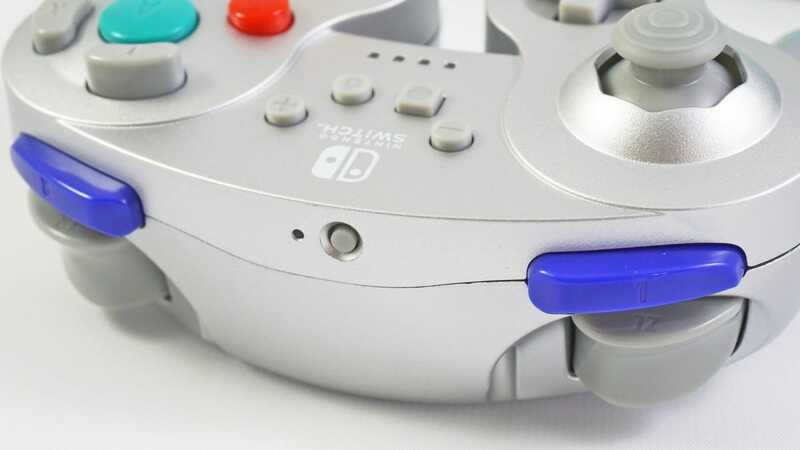 The 3D camera—defaulted to the “C” stick on the PowerA controller—is also unavoidably jarring thanks to the stiffer spring and smaller nub on the GameCube design. Breath of the Wild offers almost no control adjustments. And to be fair, it doesn’t really need them: Nintendo didn’t design the game for a control layout from two decades ago. But if you’re hoping to use the GameCube layout for games that were never made with its very intentional design in mind, you’re going to run into these kinds of problems on a regular basis. 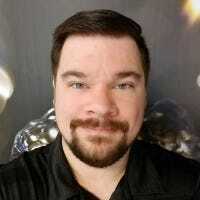 It’s something to be aware of if you’re planning on investing triple digits into multiple controllers. I don’t have Smash Bros. Ultimate yet, which is, of course, the real reason I want this controller—and presumably, it’ll be the same for most people seeking it out. 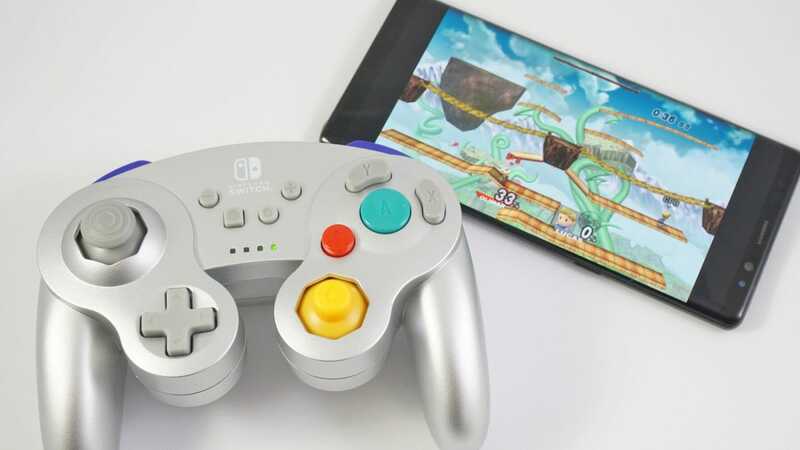 So to give it a proper trial for this review, I connected the PowerA controller to my PC and used it in the GameCube/Wii emulator, Dolphin. Booting up Smash Bros. Melee or Brawl, I was transported back to the glory days of my WaveBird. Aside from the aforementioned lack of rumble, it’s a perfect replication of the classic Smash feel. So that being said, this controller will work great if you’re specifically looking to emulate GameCube or Wii games, on PC or similar platforms. The Bluetooth connection is fast and stable, and after checking the manual for the basic pairing process, I didn’t have any further issues. Using it for older games in Steam, with its excellent controller customization support, is also easy. Should you buy this wireless GameCube controller? If you insist on the classic GameCube layout for Super Smash Bros. Ultimate, and you want the convenience of wireless, and you’re okay with a lack of rumble function, yes. That specific niche will be extremely well-served by this thing, even with its battery and vibration shortcomings. It’s as if the WaveBird fell into a time machine. Emulation fans looking for an easy Bluetooth GameCube controller will be happy for one or two of these pads as well. 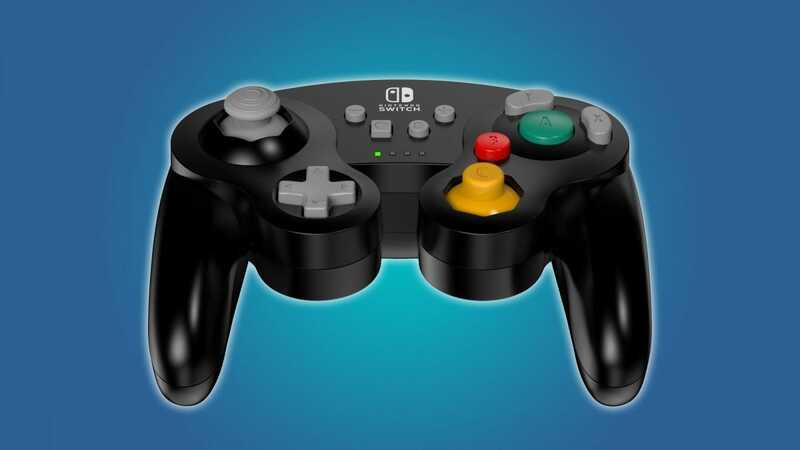 But if you want both GameCube controls for Smash and vibration—a pretty big part of that specific game—you’re going to have to go with Nintendo’s wired controller-and-adapter combo. And if you want a wireless controller that also works well with all modern Switch games, the pricey but excellent Switch Pro controller is a better bet. Even if you find yourself in that very specific niche of an ideal user, don’t be in a hurry to pay more than retail price for this thing—resist the urge to enrich the scalpers that are selling the wireless GameCube controller for much, much more than it’s worth.